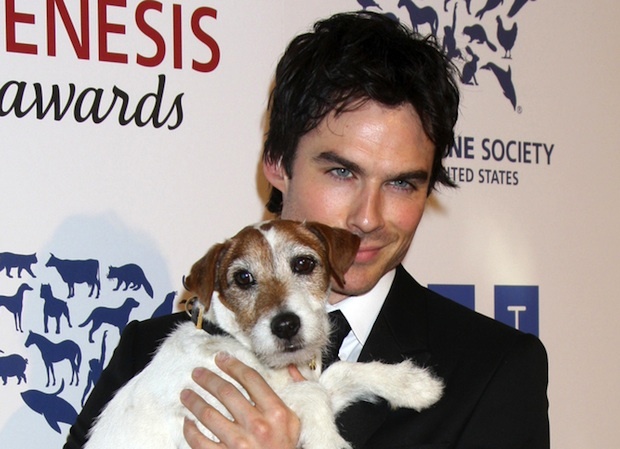 Ian Somerhalder Needs Your Help to Open Animal Sanctuary! The (shocking!) season finale of the “Vampire Diaries” may have aired last night, but that doesn’t mean that star Ian Somerhalder has stopped working. He’s just turning his considerable talents toward other projects close to his heart. Last month we told you about Somerhalder’s plans to open an animal sanctuary in his home state of Louisiana, a project which would not only house abused animals, but fight the very human issue of bullying. Well, it turns out that it’s more than just a personal project for the actor — it’s actually something he’s hoping to accomplish through his charitable foundation, and ISF needs help to make this dream a reality! The ISF website expanded on his description, explaining that they hope to go beyond the traditional idea of a sanctuary. “ISF intends on creating a safe haven for all the outcasted [sic] animals that have been neglected, mistreated and ultimately misunderstood. Some may see the potential in an abused animal as ending at the animal’s personal rehabilitation. In our eyes, this is just the beginning. What if ISF provided opportunities for these misfit creatures to continue their emotional journey alongside others who were hurting from a life filled with dejection?” reads the site. The plan is to allow the misunderstood animals to interact with humans who have bullying issues, with an ultimate goal of helping both parties to heal and grow. It’s a worthy endeavor, but ISF can’t do it alone. They’re asking anyone who believes in their message — that “all living creatures deserve dignity, love, compassion and the right to life” — to consider contributing to the cause. Interested in giving a few bucks? Then head over to the ISF donation page to help — they say they need $5 million to bring this project to life. Let’s make it happen. this is wonderful and admirable. God bless him. Great idea, Ian! I have always had a dream about creating an animal sanctuary and bringing in homeless people to work on it and take care of the animals, and in return they get food and a place to stay. When I strike it rich, I’m going to follow that dream.